First off, I wanted to say a big thank you to all who have continued to visit Digital Disney World! I haven’t posted for a while, and I wanted to give a quick explanation. 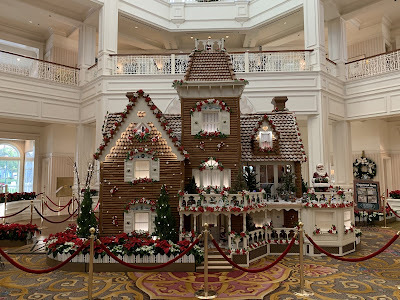 As a private Walt Disney World tour guide, I decided to create a new site to share my experience and knowledge of the Disney parks with the general public. This new venture has taken up quite a bit of my time, so I haven’t been able to post on this site as much as I’d like. That being said, I invite you to check out my new website at WDWProTips.com. 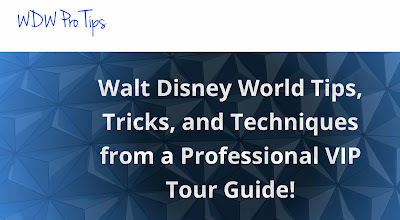 I started WDW Pro Tips back in June, and I’ve consistently published two articles per week. I have now written over 50 articles over the past 5 months. If you are planning to visit the Walt Disney World parks, I hope you will check out this site. Meanwhile, I will still be posting pics on Digital Disney World at least once per week. Again, thank you for continuing to visit DigitalDisneyWorld.com. I hope you will enjoy the new website as much as this one! There are two Rainforest Cafés on Disney property, and both are very popular. They are owned by the same company that also owns T-Rex, and Yak and Yeti. I took this shot just outside of the one at Animal Kingdom last week. This frog is their mascot. Epcot has several great "circle-vision 360" films in World Showcase. These pavilions have nine screens that wrap completely around the guests who stand in the middle of the room. It is quite a way to learn about another country. I took this shot while enjoying China with my son last week. I spent some time at the All-Star Music Resort this past week. The theming here is a lot of fun. I took this shot of the main pool shortly after it was evacuated for nearby lightning. It has a statue featuring the Three Caballeros. Space Mountain is one of the most recognizable buildings in all of Walt Disney World. At the size of a football field and 187 feet tall, it can be seen from a good distance. However, this view from the roof of the nearby Contemporary is one of my favorites. I had the chance to visit Animal Kingdom Lodge today. There is a little area to the left of the lobby called the "Sunset Overlook" room. This Ostrich walked right up to the small balcony just outside of the room. The new Toy Story Land includes a family ride called Alien Swirling Saucers. The ride system is similar to Mater’s Junkyard Jamboree in California. This whole area of Hollywood Studios looks great at night. The new Toy Story Land has some fun attractions. However, you will also find great character interactions, including many green army men roaming Andy’s backyard. I got this picture of Jessie as she was walking to her greeting spot. Maharajah Jungle Trek is known for having Sumatran Tigers. However, these Asian Water Buffalo are also a fun part of this walking trail in Animal Kingdom. I saw this trio in the water last week while giving a tour. One of the major construction projects going on at Walt Disney World is the Disney Skyliner. This gondola style cable car system will provide transportation between several hotels, Epcot, and Hollywood Studios. I took this shot of an artist rendering as I was leaving Hollywood Studios today. Tower of Terror has always been one of my favorite attractions, but not necessarily because of the "thril" aspect. What I love most is the story and the amount of detail that is prevalent throughout the experience. There is so much to look at, especially during the preshow portions. I took this shot of the hotel lobby a few days ago. Beauty and the Beast - Live on Stage is a Broadway quality show at Hollywood Studios. It has been entertaining guests for more than 25 years, and it actually opened on the same day as the original movie. I took this shot last week, while doing some research at this park. Opening just over a week ago, the new Toy Story Land at Hollywood Studios is a big hit. The premiere attraction is a family style coaster called Slinky Dog Dash. It is a very fun ride that has more of a thrill factor than many anticipated. I took this shot a few days ago, just after riding it. The queue for Expedition Everest has seen a relatively recent addition. In the area just before the loading platform, you will see some rotating advertisements. Using the RFID technology in the Magic Bands, guests’ names will often appear in the ads. I saw my name pop up on this one last week. The Walt Disney World custodians have the ability to take a course on drawing characters on the ground with water and a "broom." I have seen many Mickey‘s and Minnie’s over the years. This Goofy was drawn by a talented custodian in Tomorrowland last week. There have been many characters who have greeted guests in the center of Town Square over the years. Pluto has certainly been one of the most frequent visitors. I took this shot a few days ago, while giving a Magic kingdom tour. As part of Disney’s "Incredible Summer," guests are able to interact with some of the characters from the recent movie. They come and go throughout the afternoon, and are part of the dance party in Tomorrowland. I took this shot of Elastigirl while giving a Magic Kingdom tour yesterday. The Tusker House at Animal Kingdom is known as a popular dining location where guests can meet Mickey and friends. This restaurant has so many great African inspired details. The Jorodi Masks and Beads spot can be seen on the second floor to the left, just after entering the building. It is a fun tribute to the lead designer of Animal Kingdom, Joe Rohde. Frontierland is very well themed to the old West. If you look at the street address numbers atop the buildings, they correspond roughly to the years being depicted in this area of the Magic Kingdom. I took this shot while giving a tour yesterday. They are doing some work on the exit of Space Mountain. So, guests are currently exiting through a back door and walking along the outer edge of the building, in a backstage area. This picture falls under the category of "rarely seen by guests." Tower of Terror is one of my favorite attractions, primarily because of the story and details. This little table can be found in the library part of the pre-show. I took this shot while giving a Hollywood Studios tour today. Lagoona Gator is the mascot at Typhoon Lagoon. His statue can be seen right after entering the park, near the old fashioned "beach patrol" car. I took this shot when visiting with friends and family last week. The new Avatar area of Animal Kingdom is already the most popular area in recent theme park history. Flight of Passage is considered to be the best attraction ever created, by most who ride it. However, Disney continues to add even more to Pandora. Recently, the Pandora Utility Suit made its debut. The "Incredible Tomorrowland Expo" is in full swing at Magic Kingdom. This summer celebration is helping to promote the upcoming Incredibles 2 movie. One of the more unique events is the daily Diaper Dash, where babies crawl in a 20 foot race across a padded mat. I took this shot today, while giving a Magic Kingdom tour. One of my favorite spots to take a break in the Magic Kingdom is the Tomorrowland Terrace. It has a huge seating area and "outdoor" air conditioning. As part of the Incredible Summer celebration, they are serving Dash Pizza at this location. I took this shot while giving a tour today. This window display can be found in Wilderness Lodge. It is in the area leading from the main building to the "Villas." Donald and Daisy are dressed appropriately for the theme of this resort. Peter Pan’s Flight is one of the most "classic" attractions at any Disney park. It has remained virtually unchanged in 46 years, and has always been one of my favorites. This sign houses a partial hidden Mickey in the clouds, just under Peter’s feet. Once considered predominently a "daytime" park, it can now be argued that Animal Kingdom has the most scenic spots at Walt Disney World at night. One of these areas is the Valley of Mo’ara, which can be found in Pandora - The World of Avatar. I took this shot tonight, from the outdoor queue of Flight of Passage. I spent some time at the Boardwalk Resort today, and took a walk thru the area of the cottage suites. These are unique accommodations in that each has their own little yard. I like how they use birdhouses to post the room numbers. Located adjacent to Disney Springs, Saratoga Springs is one the largest of the Disney resorts. Themed to the upstate New York horse racing town, this hotel is also the home to the Disney Vacation Club preview center. I took this shot of the racehorse statue while visiting friends yesterday. While walking thru Frontierland the other day, I saw this view of the Rivers of America. I like the way the Tom Sawyer Island raft sail helped to outline Thunder Mountain in the distance. This raft was parked, but you can see two other full rafts in this shot. Some of the most popular Disney restaurants aren’t actually in the theme parks. Chef Mickey’s can be found at The Contemporary, not far from Magic Kingdom. I took this shot of the restaurant entrance yesterday, while visiting this resort. The Boneyard is a fun playground in the Dinoland area of Animal Kingdom. It is themed to a "dig site," where kids can dig up the bones of a mammoth. There are some great props in this area, including this boom box that resembles one that I owned in the 80s. Tomorrowland Terrace is a quick service restaurant at Magic Kingdom that is only open during the busiest times of year. However, this large seating area is almost always open. Although it is open to the outside, it does have air conditioning. It is a great place to take a break on a hot Florida day. The Walt Disney World Railroad has three stations at Magic Kingdom. They are all themed very well, but the most authentic is the Main Street Railroad Station. It is filled with antiques, like this old-time football arcade game, from the early 1900s. One of my favorite parts of Kilimanjaro Safaris at Animal Kingdom is the lion area. Disney did a great job of creating a natural habitat, without putting an obvious barrier between these African beasts and the guests. Although they sleep for most of the day, it is common to see them walking around on a nighttime safari. Hollywood Studios has a big focus on Star Wars, especially with the new Galaxy’s Edge area opening next year. There is currently a show at the center of the park called Star Wars: A Galaxy Far, Far Away. I took this shot of Rey, near the backside of the stage. Disney did a great job of casting, as this girl looks a lot like the "real" Rey, Daisy Ridley. Rock ‘n’ Roller Coaster at Hollywood Studios takes place almost entirely in the dark, which makes it hard to take any photos. However, a few days ago, the coaster I was riding stopped just short of the exit area. This gave me a chance to take out my phone and grab this shot. The Hall of Presidents is a great attraction for many reasons. The new show is very well done, and the music is phenomenal. However, one of the best things about this spot is the lobby. It is a great place to get out of the summer heat, and take a break from a busy day at the Magic Kingdom. Mickey can be found in every Disney park, but this is probably the most unique one. The right ear of this “stationary” version of the mouse is actually a lightening rod. He can be seen near the entrance to Hollywood Studios. Although I have posted more photos of Big Thunder Mountain Railroad than any other attraction, this vista caught my eye a few days ago. I was standing near the boardwalk along the Rivers of America in Frontierland when I took this shot. I like how the mountain was framed by the trees and fence.